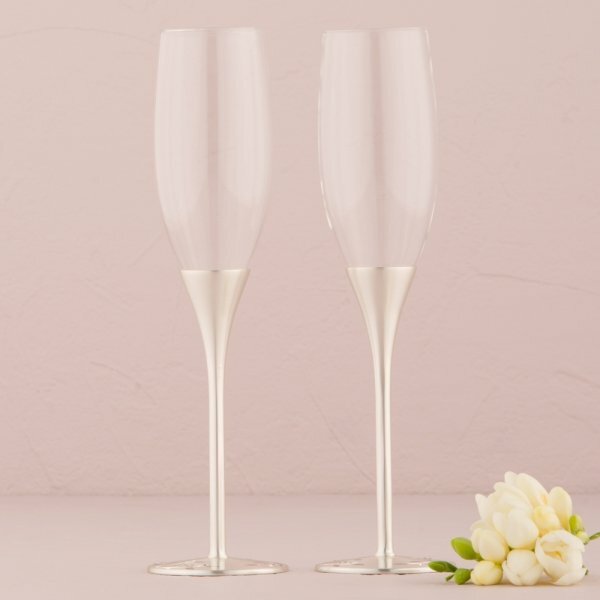 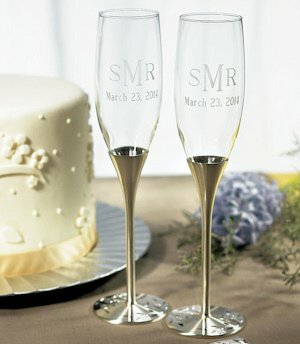 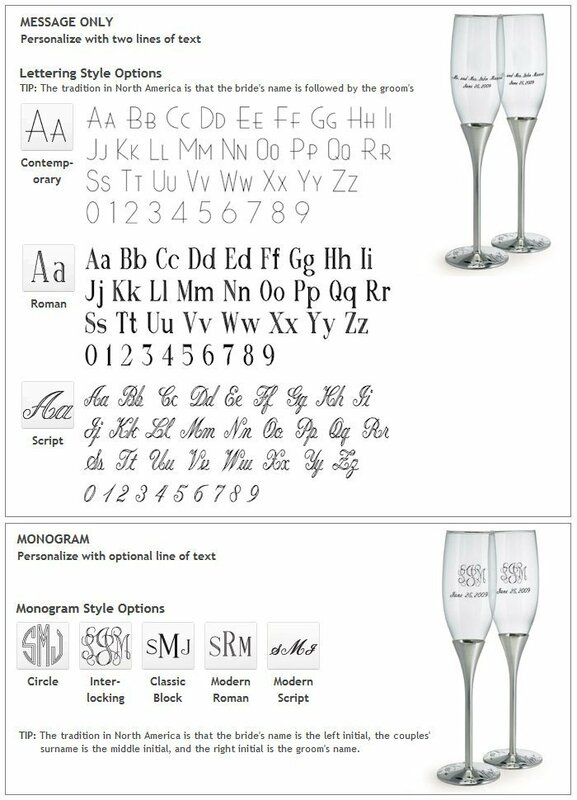 These beautiful glass champagne flutes feature a two-tone brushed silver stem and base that are covered in a lovely floral pattern with Swarovski crystal accents. 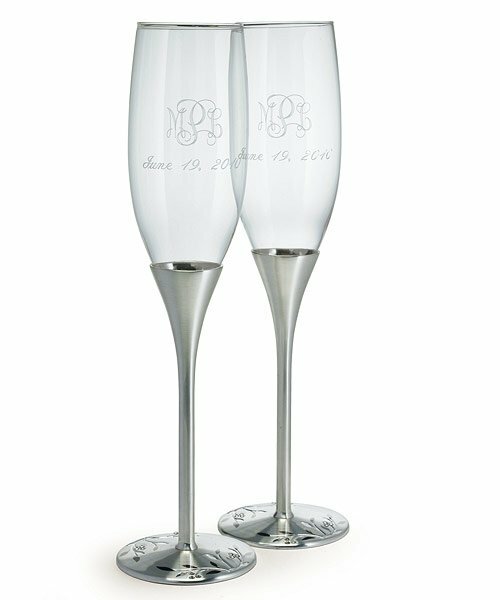 The classic silver champagne flutes pair perfectly with our Venice silver cake serving set (#8698). 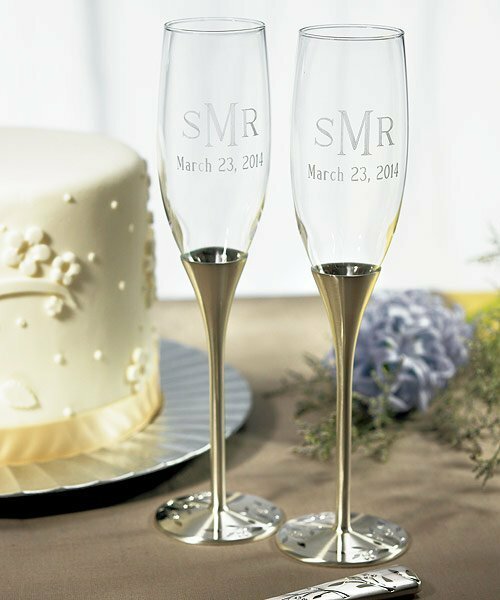 Add names and the wedding date for a nominal fee and transform these pieces into a keepsake set that the happy couple will be proud to use on each anniversary. 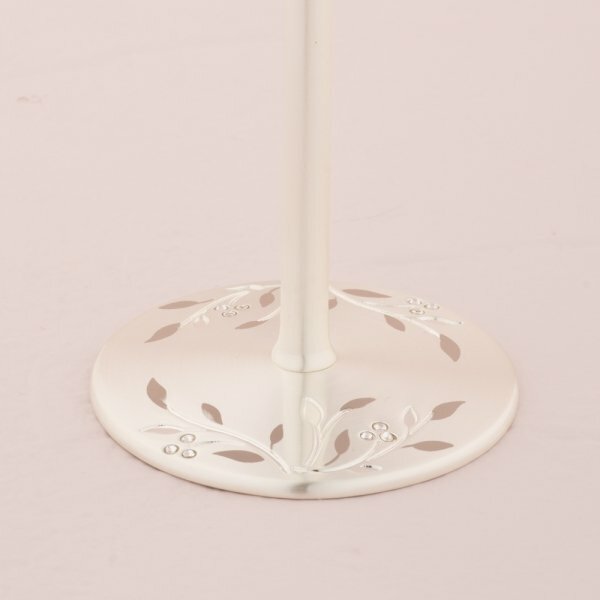 Each flute stands 10" high.